Another night in which the Mariners couldn't score with runners in scoring position, unless you count the first inning. In the first, after two consecutive strikeouts, Ichiro Suzuki walked, Jesus Montero singled and then it was over. Not the inning, but the 30 consecutive outs with runners in scoring position was over. Kyle Seager was hitting 5th tonight and ended up taking James Shields deep over the right center field wall for a 3 run homer. Goodness gracious, the M's were up 3 - 0 in the first. The following few innings the Rays made their way back into the game. After scoring two runs in the 3rd and 2 runs in the fourth, the M's found themselves looking at a one run deficit going into the 6th inning. 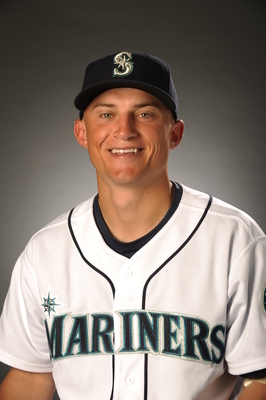 Then, in the top of the 6th, with the count 1 - 0, Kyle Seager hit a leadoff homerun. The second of the day for Seager and his fourth RBI. What a day for him. The Rays wasted no time in regaining the lead, scoring the lead run on a solo shot from Luke Scott to start the bottom of the 6th. The score remained 5 - 4. The M's squandered opportunities once again with runners at first and third in the 8th inning when Alex Liddi popped out to the catcher in foul territory and Justin Smoak followed with a flyout. It was a quiet day at the plate as the Mariners collected just 7 hits over the 9 innings and lost their 5th straight game. Seager had 3 hits on the night, two for homeruns, Ichiro had 2 hits and Montero and Liddi had the other two. 5 straight losses is not the way we anticipated this road trip after a 4 game winning streak and sweeping the Tigers, but, these ups and downs are to be expected with our young ball club. Or, at least, that's what I've been told. We'll see how many of these guys can catch the fire.